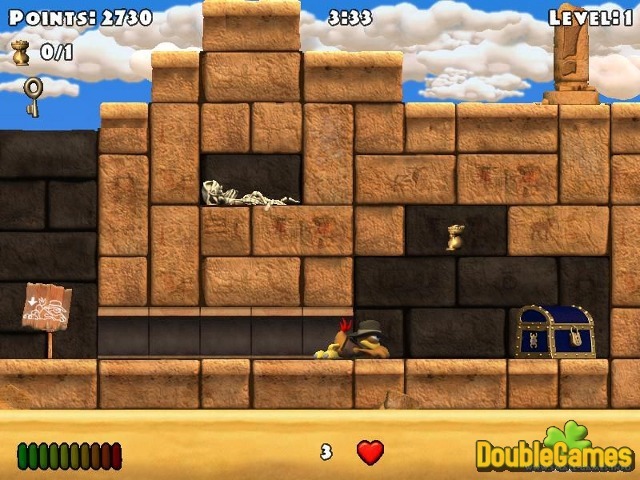 Go to the Egyptian desert Urhasis and find the hidden tomb in new addictive game under the title Crazy Chicken: The Winged Pharaoh! You have to play as the brave chicken and overcome a lot of obstacles on your way to the main goal. Travel through the desert, explore the pyramids and tombs, learn the stories about Pharaoh and more. Great adventures and an unforgettable experience are guaranteed. 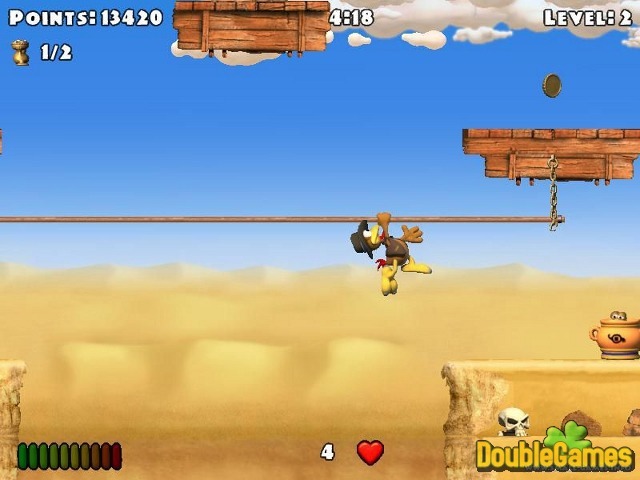 Download the game Crazy Chicken: The Winged Pharaoh right now and absolutely for free, play and have a lot of fun. Good Luck! 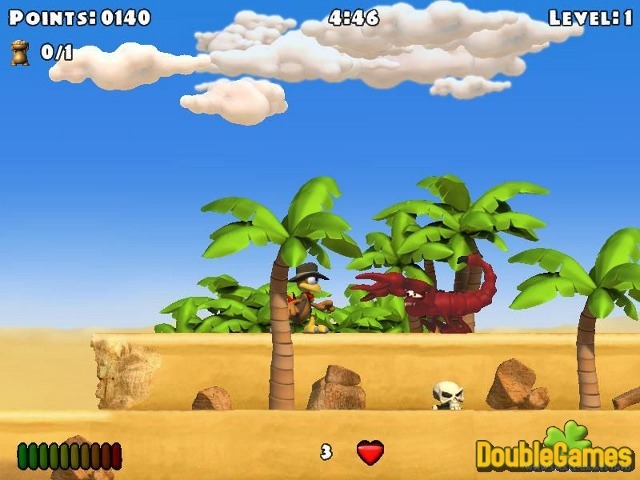 Title - Crazy Chicken: The Winged Pharaoh Game Download for PC Description - Take a break with Crazy Chicken: The Winged Pharaoh, a Arcade & Action game given by Phenomedia. Join the brave chicken and find the treasured tomb.